Events started in Kolkata – the City where NNEdPro’s story in India began – on 22nd February. A 5 year Symposium was held with close stakeholders. 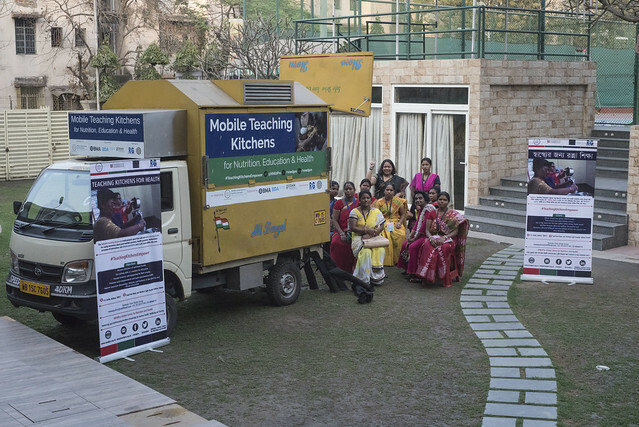 The event saw a presentation of results from the urban slums mobile teaching kitchen project which showcased results and lessons learnt from the urban slums mobile teaching kitchen project along with a live taster from the Mobile Kitchen, with a purpose of defining the next steps. 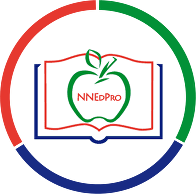 Watch NNEdPro’s 5 year video showcasing the journey of the Teaching Kitchen project which was shown across India this year. Thank you to our supporters (GODAN, BDA, BMA) and team on the ground (RCSG and Inner Wheel Club of Greater Kolkata) for helping NNEdPro to bring the project to life beyond our initial scope of imagination! Thank you also to those that have supporter the crowdfunding campaign thus far. To be a part of the Teaching Kitchen project, and support the micro-enterprise phase of the project, click here. And finally the team travelled further to Sanghol, Punhab on Monday to launch the mobile teaching kitchen model in a rural agricultural setting on Tuesday and Wednesday 26/27 February through a hands-on workshop held with members of the Inner Wheel Club of Greater Kolkata and a dietitian from Kolkata involved in the project. This workshop was held at Cordia Group of Educational Institutes in partnership with the TIGR2ESS project.